5.1 Earthquake hits south of Tonga. west. The depression is moving toward the west near 7 mph…11 km/h. This general motion is forecast to continue through Thursday…with a slight increase in forward speed expected on Friday. Tropical storm 11w (Halong) is located approximately 266 nm west northwest of Navsta, Guam, and is tracking westward at 08 knots. New Mexico, USA – Flood waters have struck parts of Albuquerque and other New Mexico cities as the state prepares for more severe weather.Heavy rain and thunderstorms sparked damaging floods Tuesday in Albuquerque’s South Valley and pockets of eastern New Mexico. Romania – Romania’s Hydrology Institute issued a Code Red for flooding warnings for Gorj and Valcea counties in the Southern Romania while the Interior Ministry mobilized 1,600 troops from various institutions to help people who were affected by flooding in ten counties in the center and southern regions of the country. Floods were caused by heavy rains at the beginning of this week. In Valcea, helicopters were sent to help evacuate 40 people from areas that were isolated due to flooding. Hundreds of people were evicted after their homes were flooded or even completely destroyed, and two people died. Several road sections in Gorj county were blocked due to heavy rains, which caused landslides. A passenger train operated by private company Regiotrans derailed in Arges county, because of a bridge that was destroyed by the flooding. The derail caused four injuries. The heavy rain also reduced Romania’s grain crops by 20 to 30 percent and destroyed 40 to 60 percent of the vegetable crops in the southern part of Romania, farmers’ associations said. Some regions were also affected by hail and specialists estimate that this will cause a decline in Romania’s agriculture production. Tasmania – Wild weather continues to cause blackouts in Tasmania, as communities in the state’s north face possible flash flooding. As 900 homes in Scottsdale had their power reconnected on Wednesday night, another 1000 homes lost electricity in Verona Sands in the state’s south. Flood warnings have been issued for all northern river basins and a sandbagging effort is being co-ordinated out of Young Town on Launceston’s outskirts. The world’s great apes face extinction within decades, renowned chimpanzee expert Jane Goodall warned Tuesday in a call to arms to ensure man’s closest relatives are not wiped out. “If we don’t take action the great apes will disappear, because of both habitat destruction as well as trafficking,” Goodall said in an interview in Nairobi. 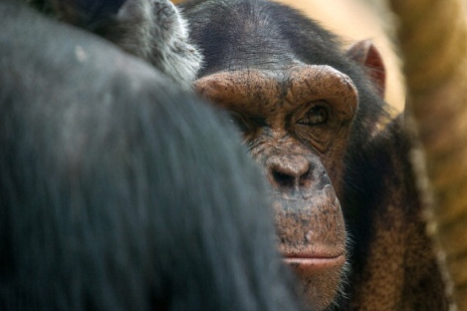 In the past half century, chimpanzee numbers have slumped from some two million to just 300,000, spread over 21 countries, said Goodall, a British scientist who spent more than five decades studying chimpanzees in Tanzania’s Gombe National Park. “If we don’t change something, they certainly will disappear, or be left in tiny pockets where they will struggle from inbreeding,” said 80-year-old Goodall, the first scientist to observe that apes as well as humans use tools. Experts predict that at the current rate, human development will have impacted 90 percent of the apes’ habitat in Africa and 99 percent in Asia by 2030, according to a UN-backed report last month. Infrastructure development and extraction of natural resources — including timber, minerals, oil and gas — have devastated the prime habitat of apes and pushed chimpanzees, gorillas, bonobos, orangutans and gibbons closer to extinction. 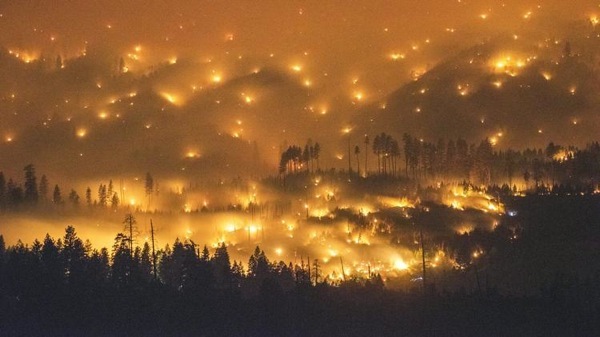 The fast-moving wildfire in Yosemite National Park has grown to about 3,000 acres, prompting officials to keep evacuations orders in place for the entire town of Foresta, Calif.
As of Tuesday, officials said the El Portal fire was only 19% contained and had destroyed a duplex. Two firefighters have sustained minor injuries battling the flames. The fire began about 3:15 p.m. Saturday near Old El Portal, prompting evacuation orders there that have since been lifted. Several wildfires are burning around the state, but according to one expert, the bulk of this year’s fire season is over. Mary Zabinski is a public information officer for the Southwest Coordination Centre in Albuquerque. She said there are 12 fires burning right now in Arizona, with the largest one burning up north. All of the fires are lightning-caused but are not threatening any lives or property. Zabinski said that in most cases, the lightning was accompanied by heavy monsoon rain that has kept the fires manageable and beneficial to Arizona’s forests. Between 24 and 27 July 2014, a total of 122 new cases of Ebola virus disease (EVD; laboratory-confirmed, probable, and suspect cases) as well as 57 deaths were reported from Guinea, Liberia, Nigeria, and Sierra Leone. The Ebola epidemic trend in Guinea, Liberia, and Sierra Leone remains precarious with ongoing community and health-facility transmissions of infection. The surge in the number of new EVD cases calls for concentrated efforts by all to address the identified problems, such as health facility transmission and effective contact tracing. Kilauea (Hawai’i): The June 27 flow front has advanced more rapidly over the past four days, and is now 4.2km (2.6mi) from the vent (Seen in first photo below). This recent increased advance rate is due to the confinement of the flow against the slopes of an older perched lava channel, from 2007. The advance rate will likely drop in the coming days as the flow passes the confines of the perched channel and spreads out on flatter topography. 5.9 Earthquake hits the Bismarck Sea. 5.5 Earthquake hits southern Iran. 5.5 Earthquake hits the southern Mid-Atlantic ridge. Tropical Depression Genevieve is located near latitude 12.9 north…longitude 149.0 west. The depression is moving toward the west near 7 mph…11 km/h …And this motion is expected to increase slightly through the next 48 hours. Tropical storm 11w (Halong) is located approximately 75 nm northwest of Navsta, Guam, and is tracking westward at 08 knots. India – At least 15 people were killed after heavy rains triggered a landslide in Maharashtra’s Pune district, burying over 160 as rescuers searched for survivors and bodies in the massive debris of mud and rock. Racing against time and battling inclement weather. Emergency personnel have pulled out 15 bodies from the rubble and many injured survivors so far. Germany – Summer storms bring flooding to parts of western Germany. USA – A storm system that wreaked havoc across the eastern half of the U.S. spawned a tornado just north of Boston on Monday, causing extensive damage. Winds as high as 120 miles per hour roared through Revere Monday, uprooting hundreds of trees, ripping roofs off houses and flipping cars. The Beaufort Sea in Arctic Ocean is usually frozen. The water is covered with ice most of the time. But researchers have recorded giant waves, as high as 16 feet, just north of Alaska. Swells of that size have stunned the scientists because they have the potential to break up Arctic ice much faster than expected. The North is changing, and it’s changing fast as the sea ice retreats due to global warming. Jim Thomson of the University of Washington recorded the wave measurements with the help of sensors. The house-size waves were measured during a September 2012 storm. Thomson told The Washington Post that 16 feet swells were the average. The biggest single wave was about 29 feet. Until recently, the Arctic Ocean remained ice-covered throughout the summer, so there were no waves to measure. But the area of open water is increasing. Thomson said the Arctic ice never retreated more than 100 miles during summer in the past. But in 2012, it retreated well over 1,000 miles. The expanded ice retreat leaves much of the Beaufort Sea ice-free by the end of summer. 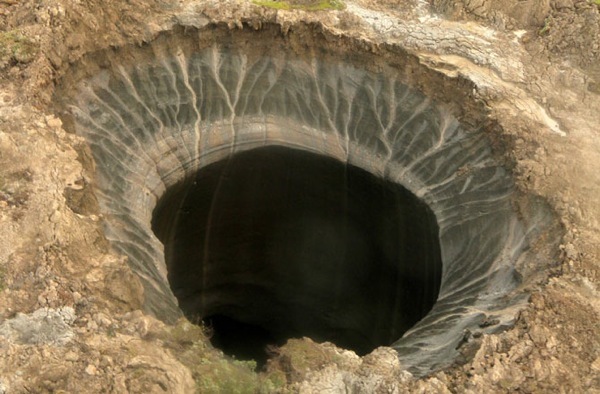 It’s uncertain yet what’s caused the sinkholes, but experts said global warming may play a part, when permafrost melts, gas is released, causing an underground explosion. 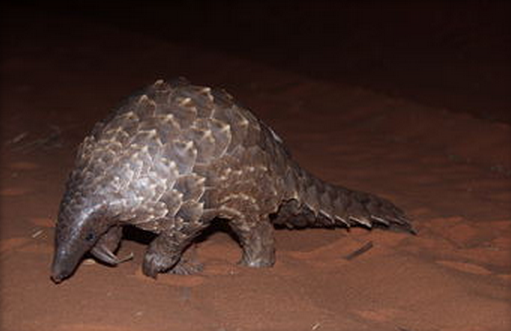 They’ve been described as walking artichokes and the most trafficked mammals in the world. Now, conservationists warn that pangolins, or scaly anteaters, could be eaten out of existence if illegal hunting and poaching continue . In the latest update of the International Union for Conservation of Nature’s (IUCN) Red List of Threatened Species, all eight pangolin species were listed as “critically endangered,” “endangered” or “vulnerable.” Today (July 29), a group of scientists and conservationists tasked with studying pangolins for the IUCN issued an action plan outlining steps that should be taken to save the armoured, insect-eating creatures. “In the 21st century, we really should not be eating species to extinction — there is simply no excuse for allowing this illegal trade to continue,” Jonathan Baillie, co-chair of the pangolin specialist group for the IUCN’s Species Survival Commission and conservation programs director at the Zoological Society of London, said in a statement. Pangolins, native to Asia and Africa, are the world’s only mammals with true scales made of keratin. Despite international trade bans, pangolin meat and scales still fetch high prices on the black market. Demand is especially high in China and Vietnam, where pangolin parts are used in medicine and served as a culinary delicacy. Last August, more than six tons of live pangolins were seized as they headed from Indonesia to Vietnam in a shipping container labeled as frozen fish, fins and fish bones. In April 2013, a Chinese fishing vessel was found carrying as many as 2,000 of the toothless creatures, after the vessel ran aground in the protected Tubbataha Reefs off the coast of the Philippines, according to the World Wildlife Fund. Tungurahua (Ecuador): Following more than 2 months of calm, the volcano is probably about to enter a new eruptive phase, a special bulletin of Ecuador’s Geophysical Institute (IGPEN) informs. Following a steep increase in seismic activity last Sunday afternoon, a small ash emission occurred at 15h49 local time, producing a plume rising approx. 1 km and causing light ash fall. 6.3 Earthquake hits Veracruz, Mexico. 5.7 Earthquake hits New Guinea, Papua New Guinea. 5.3 Earthquake hits the Andaman Islands off India. 5.1 Earthquake hits the Soutyh Indian Ocean. Tropical Storm Hernan is located near latitude 22.8 north…longitude 119.9 west. Hernan is moving toward the west-northwest near 16 mph…26 km/h…and this general heading with a decrease in forward speed is expected through late Wednesday. Tropical storm 11w (Halong) is located approximately 191 nm east-southeast of Andersen AFB and is tracking northwestward at 05 knots. India – After barely a lull of two days, another spell of torrential rain followed by flash floods played havoc and claimed at least five lives and loss of livestock and property across Madhya Pradesh on Monday. Two California wildfires have forced around 1,700 residents to flee and destroyed 10 homes while threatening to burn hundreds more buildings. The 3,800-acre Sand Fire force more than 1,200 residents in Amador and El Dorado counties to evacuate as 1,500 firefighters have contained it by 35 percent as of Sunday. Some 515 buildings in and around the River Pines Estates community in Amador were also ordered evacuated. The fast-moving fire fanned by triple-digit temperatures, low humidity and high winds have destroyed 10 homes and eight structures. Meanwhile, the 45-home Foresta community in Yosemite National Park was ordered evacuated as a fire that started Saturday grew to 2,100 acres. Between 21 and 23 July 2014, 96 new cases and 7 deaths were reported from Liberia and Sierra Leone. In Guinea, 12 new cases and 5 deaths were reported during the same period. These include suspect, probable, and laboratory-confirmed cases. The surge in the number of new EVD cases in Guinea after weeks of low viral activity demonstrates that undetected chains of transmission existed in the community. This phenomenon is retrogressive to the control of the EVD outbreak; and calls for stepping up outbreak containment measures, especially effective contact tracing.